At 3:15 p.m., a colossus of exuberant students pours from the glass-paned doors of Synapse School in Menlo Park, Calif. Clad in brightly colored clothing and hefty backpacks, the students chat enthusiastically while teachers, parents and adult supervisors guide them out into the surrounding parking lot. The building they leave behind, although rather plain in exterior, is in actuality teeming with every color of the rainbow, split between two floors linked by mustard yellow staircases and decorated liberally with student artwork. This building, adjacent to the Riekes Center for Human Enhancement in Menlo Park, is home to Synapse School, a K-8 private school aiming to educate the intellectually gifted children of the Bay Area. But this school focuses on more than simply academic advancement; it has another goal in mind: teaching students about emotional intelligence, social-cultural values and the ability to comfortably and confidently find one’s niche in society. Today in the Silicon Valley, there appears to be an ever-increasing emphasis on intellectual prowess. From the get-go, students are encouraged to be competitive, battling for the highest SAT scores and admission to many of the most prestigious schools in the nation. Maybe this competitive culture stems from the highly educated and successful parent population of the Bay Area, many of whom place external pressures on their children not only to be hardworking but intellectually and academically advanced. Or maybe we simply have a profusion of naturally brilliant kids sprouting from this portion of the planet. Whatever the cause, we have to acknowledge that the standard of excellence has been raised—we can see it in the schedules of Palo Alto High School students, chock full of challenging classes; we can see it in the ferocious competition among SAT-takers and college applicants; and we can see it in the number of private schools that so many have chosen over the public school district, some aimed specifically to educate the “gifted” or intellectually advanced. But this raises a critical question: what if intellectual giftedness and academic achievement are overvalued? Is intellectual finesse the only key to success? According to an Aug. 2012 article published by the Palo Alto Weekly, the recent influx of private schools for “gifted” students is due to a reduction in special services and opportunities for academically advanced children in the public school district. 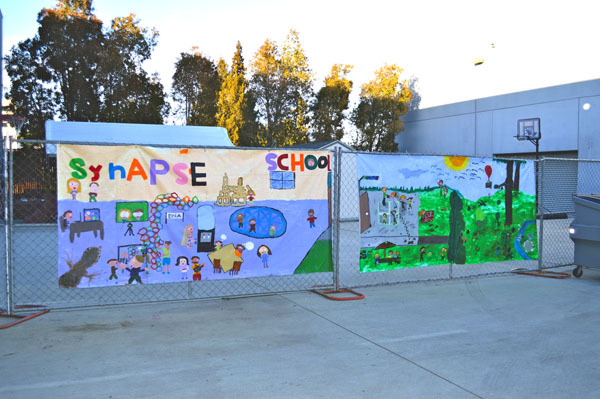 Schools such as Synapse School have sprung from the desire to better educate bright kids on their paths to success. Emotional intelligence, defined as the “ability to identify, assess and control the emotions of oneself, of others and of groups,” is, according to psychologist and Paly parent Susan Esterly, just as important as intellectual intelligence, as a strong EQ helps to build self-esteem, social skills, and guides kids along the path to forming worthwhile relationships with those around them. According to Marsha Rideout, the self-science expert at Synapse, there are eight primary competencies taught at the school, each emphasizing a different area of the EQ, such as intrinsic motivation, optimism and empathy. Synapse makes a point of teaching all students a multitude of adjectives to describe their emotions, with the hope of promoting accuracy of self-expression. At Synapse, students also learn to recognize and understand their own and other students’ behavior in order to improve communication and understanding between themselves and their peers. 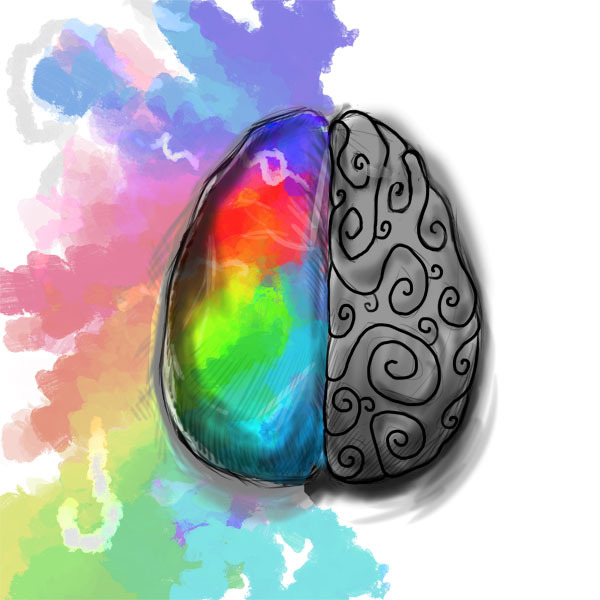 Schools such as Synapse are said to assess giftedness in a qualitative rather than quantitative manner, which means, according to Madeline Vann, the communications and admissions officer at Synapse, the school takes into account a broader spectrum of intelligences rather than focusing on academic ability alone. Shelley Van Zant, a Palo Alto resident and parent of two Synapse students, was most drawn to Synapse not because of its catering towards intellectually gifted students but because of its social-emotional curriculum. Vann, the admissions officer at Synapse, says the school follows a program known as “HEARTS,” or heat, engage, activate, reflect, transform and store. Throughout the school day, teachers implement these ideas into their lesson plans, engaging students in hands-on projects and activities aimed to develop their emotional intelligence and social skills. In agreement with psychologist Esterly, Vann believes there is more to success as an individual than an impersonal intelligence quotient. Livia Polanyi, a counseling professor at Stanford University who works with gifted children, focuses on appealing to the personal interests of her students, as she believes that in order to properly communicate with and educate a child, one must understand the way that child’s mind works—the way the child perceives and interprets the world around them. However, as Polanyi notes, it is difficult to find an adequately supportive environment for gifted children to flourish. Van Zant feels the smaller class size and interactive teaching method practiced at Synapse provides students with such an environment. Rideout and Vann explain that Synapse employs a method of teaching that provides students with real-world applications of the course material, as well as incorporating frequent hands-on activities to improve memory retention and encourage participation and cooperation. To attend Synapse, a student must be evaluated through a procedure including an IQ test, student shadowing, parent-administration conferences, and teacher home visits. Vann explains that this process allows the school to assess a child’s intellectual and emotional abilities, as well as get an idea of whether he or she would be a proper fit for Synapse. Van Zant hopes the Palo Alto Unified School District will begin to implement some of the ideas practiced at schools like Synapse in the future. Despite the benefits of a small and more intimate learning environment that schools such as Synapse provide, Van Zant believes class size doesn’t need to be a factor when teaching emotional intelligence. “I think they could have a curriculum like Synapse has even with bigger classes and I think it would be more beneficial to the students,” she says. Psychologist Esterly feels the competitive environment in the Palo Alto area and the emphasis on academic achievement can cause children to lose sight of their natural interests, leading to feelings of inadequacy and ignorance of certain interests. Polanyi emphasizes the importance of educating children in an environment that is most appropriate for their own interests. “You can’t turn people into something that they’re not, but you can help them be where they want to be, and you can help them be proud and self-assured,” she says. Polanyi attributes the large population of bright students in this area to the intellect of the parents who choose to move here. “We have a very intelligent parent base who are highly educated, who are certainly producing a lot of highly gifted kids,” she says. However, she notes that this hyper-intelligent environment can have detrimental consequences for students who feel pressured to achieve at or beyond the level of their peers. Like Esterly, Polanyi feels that students shouldn’t be pressured into following societal norms—they should have the freedom to explore what they are naturally interested in, rather than feeling an obligation to conform. QUIZ: What Hipster Stereotype Are You?